The largest oil refinery in the world is doubling its capacity to 1.2 million barrels a day. With this expansion, there is the requirement to increase the number of flame and gas detectors to protect the whole facility. SharpEye 40/40I and 40/40LB Optical Flame Detectors were selected, alongside SafEye Quasar 900 Open Path Gas Detectors to provide complete protection by the most reliable detectors in over 10 years of service and the uninterrupted support that is always provided by Spectrex. 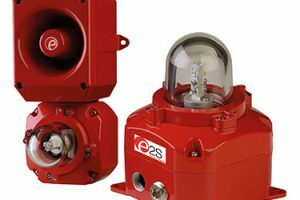 The SharpEye 40/40 Series offers enhanced reliability and durability, with detectors being able to withstand the harshest of conditions and carry Hazardous Area approvals (FM/ATEX/IECEx/CSA and more) for locations in zone I areas and 3rd party Performance approved (EN54-10, FM, DNV). The SafEye Quasar 900 provides open path gas detection using a Xenon Flash infrared transmitter and infrared receiver. the system provides detection at up to 660ft (200m) in the harshest of conditions and carrying a range of approvals including ATEX and IECEx Hazardous Area approvals. Spectrex Inc. is a technology leader in optical Flame and Open Path Gas Detection (OPGD). Our patented optical UV/IR and IR3 Flame Detector designs, and pioneering patented Xenon Flash designs in OPGD detectors are now the standard for Oil & Gas projects. 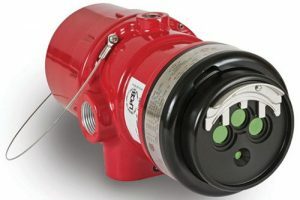 A wide range of flame detectors are available, from ultra fast (msec) detection time to high sensitivity hydrocarbon and hydrogen flame detection, alongside the equally large OPGD range that can detect hazardous gases, from flammable hydrocarbons to toxic Ammonia and Hydrogen Sulfide. All Spectrex products can operate in the toughest conditions, from African deserts to Alaskan waters and are fully approved to meet relevant third-party Ex hazardous area, performance and reliability standards to the wide range of application challenges, worldwide.